The Ogun East Senatorial District election has been declared inconclusive. The Returning Officer, Professor Chris Nwoka, who made this known to newsmen, declared the election inconclusive following the disparity in the number of votes secured by the two leading parties, APC and PDP as well as the cancellation of votes in Ward 10, Ajenandele in the Ijebu East local government area. At the conclusion of collation of results from the nine local government areas, the APC had a total of 84,929 votes, while the PDP polled 82,457 votes. 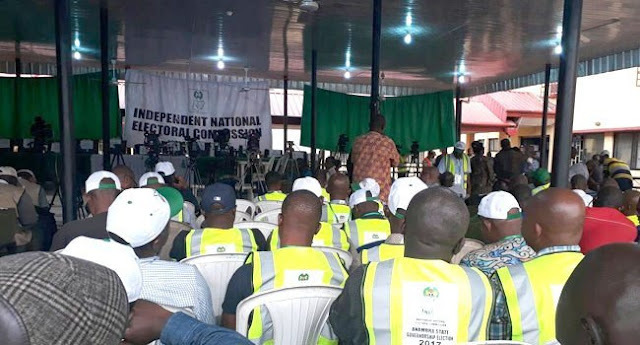 The collation center became rowdy after it was announced that the results from Ward 10, Ajebandele, in the Ijebu East Local Government Area of the state were cancelled.